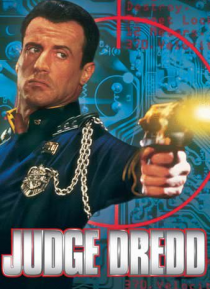 In a time when all-powerful and coldly efficient "Judges" act with the supreme authority of both the police force and legal system, Judge Dredd (Sylvester Stallone) is the most feared law enforcer of them all. But when a former Judge (Armand Assante) hatches a sinister plot to overthrow the government and eliminate the Judges, Dredd is framed for murder! Get ready for an explosive action-adventure… thrill ride as Dredd does whatever it takes to restore justice!